We overload our brain with lot off stress, tensions, hectic work schedule & we never take any care for oiling & servicing of the brain.Regular oil massage to scalp & feet, rose water cooling pack for eyes are the best natural treatments to relax & strengthen brain functioning. But we have no time for all such procedures ....... Then how will we find next generation sharp, intellingent & healthy?Ojasaa tablet is developed on such complaints. One tablet Ojasaa after dinner helps in sound sleep, releasing stress, concentration & confidence etc. Ojasaa keeps you happy & cheerfull. Ojasaa is a best tonic for all i.e. 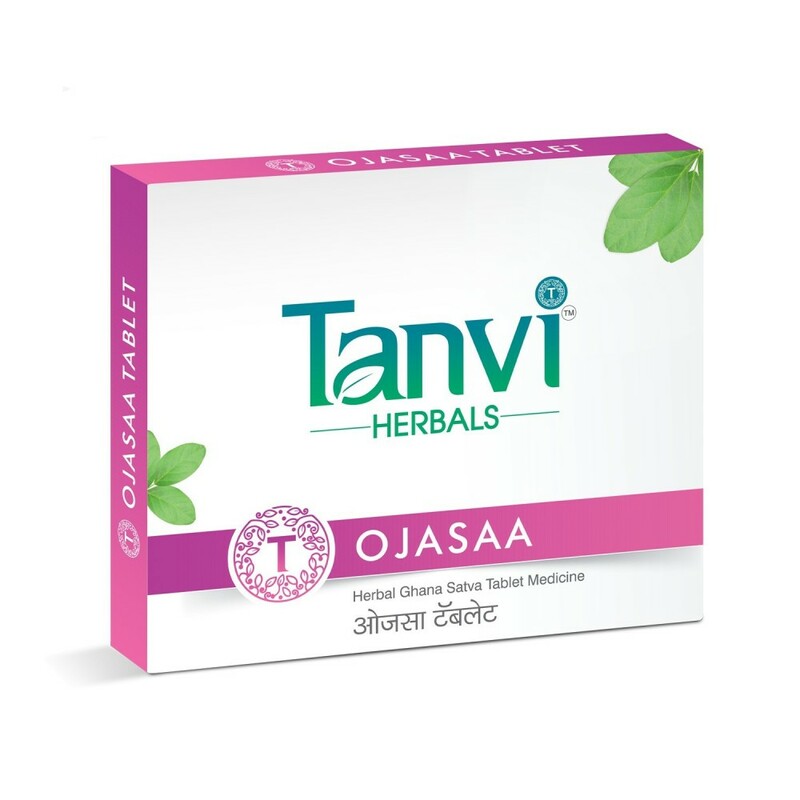 school students, college goers, higher level officials & even for stressed housewifes also.Many patients take Ojasaa Tablet regulary & give feedbacks to Tanvi doctors. Getting honoured feedbacks from patients is Tanvi projects immense satisfation of producing such holy, social health caring medicine. All tanvi medicines are available at selected chemist shops so it is easy to use Tanvi on regular basis for patients convincence. Tanvi project is trying to make products available in areas where Tanvi products are not available at present.In complaints like feets, Convulsions, due to strong medications, children feel drowsy which affect their studies. Tanvishataa 2, Vatshaanti 1 & Ojasaa 1 will be a best tonic for such children. They can consult Tanvi doctors for better results.In depression, mental stress, fear, anxiety forgetting the things, harmones imbalance etc. Tanvishataa 2, Vatshaanti 1, Shatajivanti 1 after breakfast & Ojasaa 1 at bedtime is advisable.Insomnia patients sleep is a big problem. They need to be on sleeping pills but Ojasaa will help them a lot. 1 tablet Ojasaa at bedtime will help them in sound sleep, releasing stress & changing bad moods. Gradually when they get good sleep they can stop Ojasaa or if they want they can continue as a tonic in future also.Tension, fear, treamers, palm & feet sweating, crowd sickness & in many such complaints Tanvishataa 2, Vatshaanti 1 & Ojasaa 1 is a good tonic. In mentally retardation to reduce the voilence & fear & to calm them, to keep them in good mood & to reduce sleep disorders Tanvishataa 2, Vatshaanti 1, Tanvijyeshta 1 & Shatajivanti 1/4 after breakfast & Ojasaa 1 after dinner is a good combination.Ojasaa contents sunth, ajwayan, vekhand etc. heaty herbs so acidity patients can take Ojasaa with milk to secure from acidity.Ojasaa can be taken in worms infections, white patches, fever due to worms, stomach pain due to worms etc.In bed wetting complaints Ojasaa is helping hand for the parents to safeguard their children with frequent bedwetting. Give Ojasaa regulary for 2 - 3 months & then reduce the tablets gradually after constant results. In future also you can continue Ojasaa as a best tonic if required. In complaint of frequent urination also Ojasaa can be taken regularly.Purifying the soul with confidence & positive values for health & fittness Ojasaa can be your best friend.